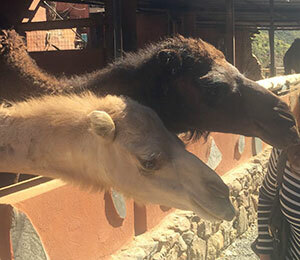 Ride on the famous camels in a safari in Gran Canaria! Dare to live a different experience if you are on the island of gran canaria on this camel ride ( dromedary ride ) through the dunes of maspalomas. EVERY day from 9 am to 4 pm. The duration is approximately 30 minutes. you will feel in the African Sahara in canaries. the walk will be through the dunes of maspalomas and its approximate duration is half an hour, every day. also the grandfather or anyone with reduced mobility.